The most troubling moment on a long tour use to be when your device shows memory full status and you are not able to shoot more. This is really a critical situation that is why professionals love to take number of SD cards to their tour. If you are an action camera lover and want to shoot every amazing part of your tour then it is advised to speed up your shoots with rich quality SD or Micro SD cards. No matter whether you are using Garmin, Contour, GoPro or Sony device, in each case a good memory is essential to capture great footage on the go. What to Consider when buying a memory card for GoPro? 1. Plain SD Card or Micro SD card? You can find various models of Micro SD and simple SD cards in market but most of action cameras need Micro SD cards. The major difference between both these cards is in their dimensions as Micro SD cards are much smaller in size. All latest devices these days are designed with compact size hence they support micro sized memory card for storage of photos and videos. All SD cards are designed with a special speed class rating that describes their writing data category and with each category it represents a real world recording use for videos. Out of all varieties available in market the most suitable for action camera are Class 10 (10Mbps), U3 (30Mbps) and U1 (10Mbps). You need to go for U3 and U1 because in case if your camera is C10 but does not support U1 or U3 then it will provide lower data writing speed. If you prefer to work on 1080p resolution then Class 10 MicroSD card is best for you. These cards are marked with Full HD capabilities that represent 1080p in this case. GoPro action cameras usually support Class 10 and other superior microSD cards, the lower versions will not work. The series of GoPro action cameras is able to handle certain specific size of microSD cards. 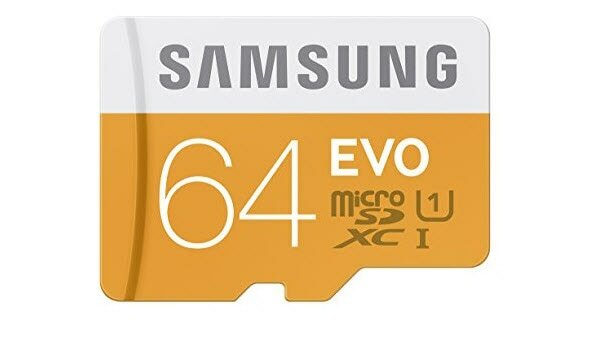 The older versions were having smaller rating mostly up to 64GB whereas the latest devices like Hero4 Silver/Black, Hero5 session and Hero5 Black etc support MicroSD cards up to 128GB capacity. 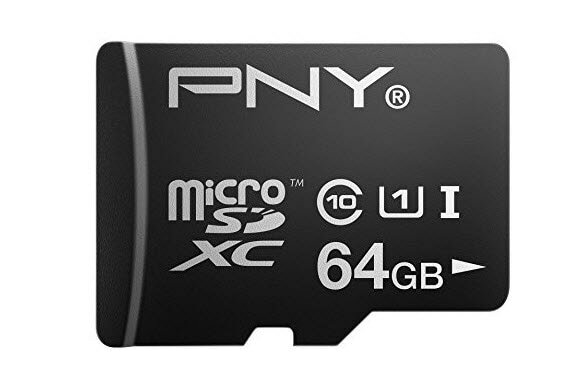 If you are going to purchase a new MicroSD card for your device then prefer to check your device specification and then pick the card with maximum capacity that your camera can support. 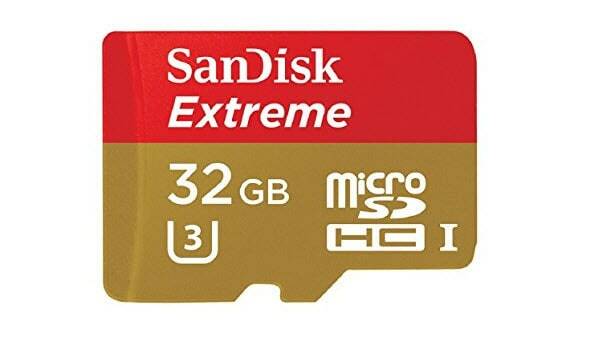 SanDisk Extreme memory cards are best choice for those who love to explore sites with their action cameras because it offers high speed with amazing quality. With payment of $20, users will be able to get 64Gm or 32GB memory at reading speed of 80MB and writing speed of 50MB. 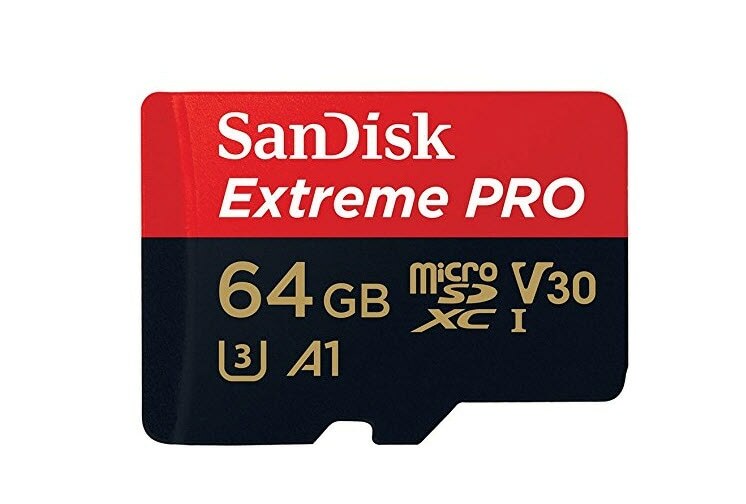 This range is perfect to shoot videos with 4K resolution and hence these cards are best suitable for high class GoPro cameras. You will be glad to know that it comes with 10 year warranty and SD adapter for easy file transfer. SanDisk Extreme PRO microSDXC Memory Card can totally meet the needs of Hero 6 Black. It is faster and fancier, 96 MB/s sequential read and 85 MB/s sequential write, and can help your action camera or drone to record 4k videos flawlessly. 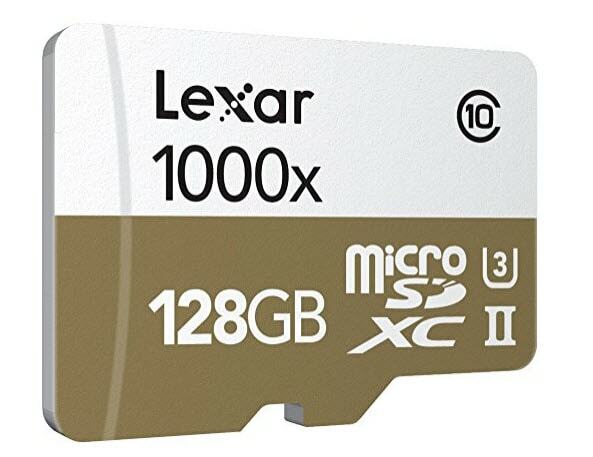 Lexar Professional MicroSDXC UHS-II and 1000X MicroSDHC cards allows users to capture videos at faster speed with easy play back option. With these cards you can also transfer all multimedia files easily to other devices. The read speed offered by these devices goes as high up to 1000x that is 150Mbps. For this high speed performance, these cards follow UHS-II technology and also possess a microSD UHS-II type USB 3.0 reader that leads to very high file transfer. Here is the most budget friendly series of memory cards that suits for many action camera users. With payment of $19 only you will be able to access 64GB memory that offers 16MB writing speed along with 48MB reading speed. This speed is almost twice as compared to the speed required by Hero4 Black action cam during its 4K video recording. This series of memory cards is commonly used by action camera professionals as it supports fast playback and excellent results for high resolution video recording. These high speed memory cards are perfect choice for tablet PCs, smart phones and latest action camera models. With this additional storage you can easily capture lengthy videos with your device and they can be easily transferred to other platforms at high speed. These are class 10 cards that mean you will never face lags during shooting and file transfers. The maximum speed for file transfer can go up to 90MB that is more than enough for regular usage. PNY Turbo memory cards are best choice for action camera lovers who use to record long hour full HD videos. How to live stream gopro to facebook and periscope?